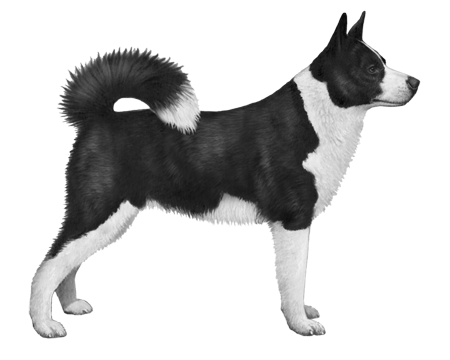 The Karelian Bear Dog (KBD for short) has existed in the north eastern parts of Europe and Scandinavia since Neolithic times making it one of the oldest breeds on the list. 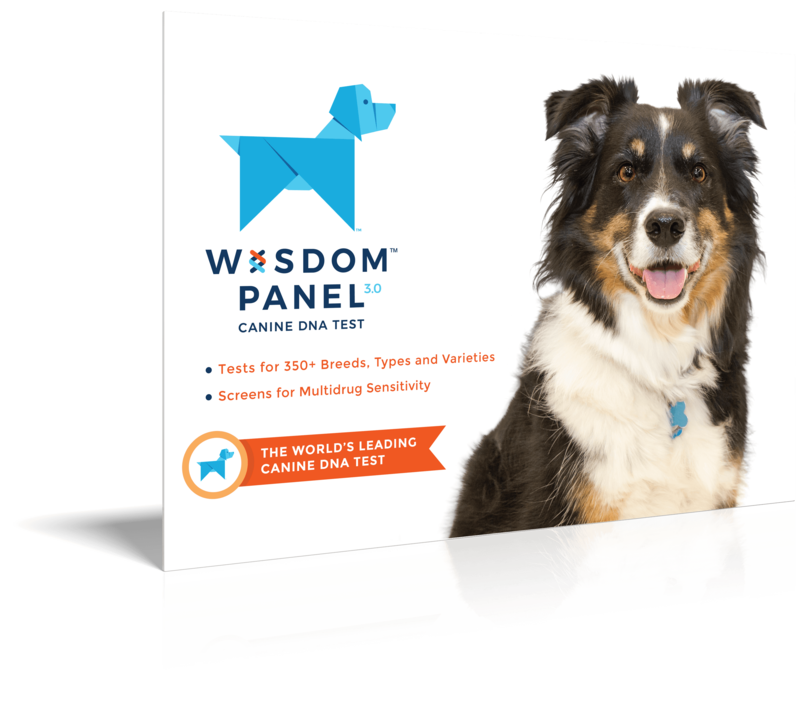 The breed standard currently calls for black-and-white marked dogs, however the breed originally included various shades of grey and red coats like a standard Spitz, or black and tan. The KBD has been used for hunting of small animals as well as moose, lynx, wolf and, as its name suggests, brown bear. As such, its large-sized build is quote powerful. They have finely-developed bones and muscles—especially in the shoulders—and a deep, broad chest and wedge-shaped head. 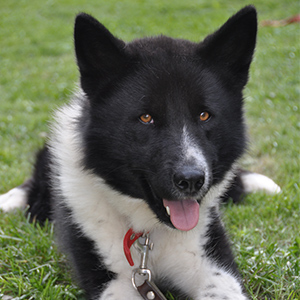 Their charming eyes are often set in the black colouring on their face that surrounds a white blaze and large nose making their faces very endearing. 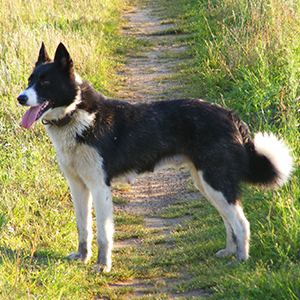 The white part of their colouring runs in a kind of neck band, as well as across the throat, chest, and paws. 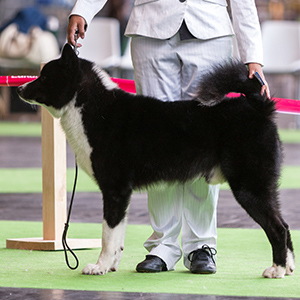 All this around striking jet-black colouring give this dog a quite stunning and unforgettable look.